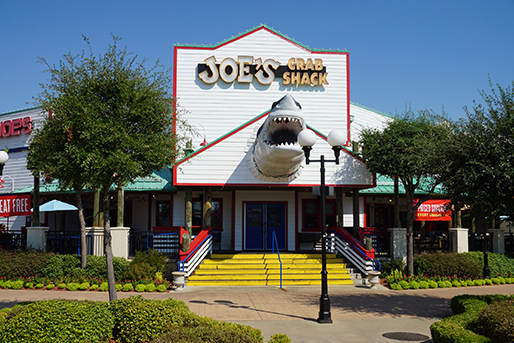 Joe’s Crab Shack has abruptly and without comment shuttered dozens of locations in recent days as it awaits a judge’s ruling, expected today, as to whether it will rejoin Landry’s Inc., which submitted the winning bid in bankruptcy proceedings. The latest closings have been confirmed today and include all Joe’s Crab Shack locations in Indiana, Illinois and Michigan, among others. The 43 closures represent a 30%+ reduction in store count, which now sits at 72, as of this morning. Chain Store Guide has leveraged its Restaurant Chain Locations Database to track the restaurant closings, the result of which you can see below. The reduction is in keeping with comments made by Landry’s founder Tilman Fertitta who told Nation’s Restaurant News earlier this month that should his company acquire Joe’s, he’d expect to end the process with about 60 total stores open.